Kevin leads i4cp's Executive & Leader Development Exchange working group and provides thought leadership on talent strategy and talent management, succession management, and top-talent development. He also provides strategic services and support for many of i4cp's members. 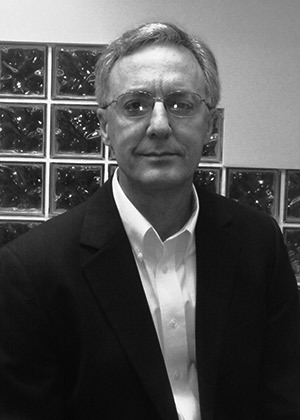 Kevin has over 30 years of experience as a senior human resources leader and consultant for executive and organizational development. He lead several departments within Human Resources including talent management, HR operations, organizational development & effectiveness, learning and development, employee & labor relations, talent acquisition, and employee productivity & engagement. He retired as the Executive Director, Talent Management and Organizational Effectiveness of a multinational energy corporation. He has also developed and utilized multiple advanced change management and organizational design processes to successfully integrate people and business initiatives. He helped lead corporate mergers & acquisitions, restructuring & re-engineering, and major cultural change projects. Kevin has presented to international and national conferences on change management, employee engagement, succession management, talent management and assessment methodology. He earned his degree in Business-Human Resources with a minor in psychology. He is a certified Senior Professional in Human Resources (SPHR), and was one of the co-designers of the Focused Leadership Development Institute. He has served on advisory boards of HRI (i4cp's predecessor) and i4cp, the Executive HR Roundtable, and is currently on the advisory board of the Senior Human Resources Development Forum - an ATD special interest group.